How do I gain access to business funding? Appropriate funding is essential for any business to grow and develop. 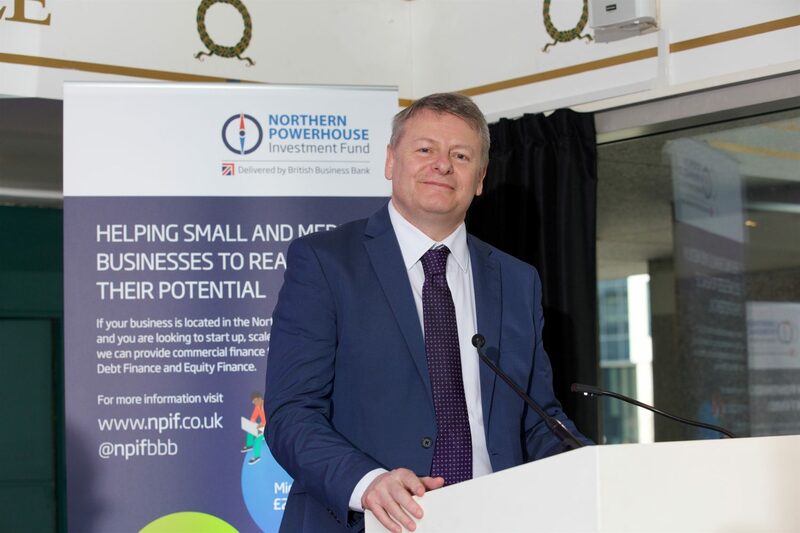 Grant Peggie, Director at British Business Bank who operate the Northern Powerhouse Investment Fund, explains more. While most businesses are often started on credit or with help from friends and family, once a business is up and running it will need to be financed appropriately in order for it to become a sustainable growing proposition. While credit conditions have continued to improve over the last 12 months there is still an issue for smaller businesses when it comes to the best finance options available and information on how to access them. There has been rapid developments in the different types of funding available to businesses including peer-to-peer lending, crowd funding and business angel finance, but small businesses don’t always have the time to navigate around all the types of finance available. Businesses can discover the funding options available to them including The Start Up Loans Company by using the Business Finance Guide (published by the British Business Bank in partnership with the ICAEW, and a further 21 business and finance organisations). The guide, which impartially sets out the range finance options available to businesses and provides links to support available at a regional level, is available at www.thebusinessfinanceguide.co.uk/bbb. Preparing a solid business plan is key to securing funding as it helps potential lenders or investors understand the vision and goals of the business. To create a robust business plan, make a fresh assessment of where the business is, what the opportunities are, how achievable they are and what new challenges there are to the business. It is also important that you look into the future and analyse how much capital needs to be put into the business to finance your latest plans. Knowing what options are available is key to making successful progress, especially when looking for funding. Growing a business from the initial idea to a successful enterprise is not a smooth linear journey as new challenges can often appear. Thus, being aware of alternative routes is critical. Remember, while there are various funding options available, availability will depend on the circumstances of your business. Whether you’re starting out or experiencing a high-growth phase, equity can be an important resource to provide finance as well as broader expertise. There is a breadth of equity funding options available, including the Northern Powerhouse Investment Fund, which provides early or late stage equity finance ranging from £50,000 to £2m. At any stage of its development your business is likely to need a mix of different forms of debt, all of which have their advantages for business growth. The Northern Powerhouse Investment Fund offers microfinance covering micro-finance ranging from £25,000 to £100,000 and debt finance covering larger business loans £100,000 to £750,000. Lastly, gaining good independent advice is invaluable. Specialist advisors will be able to provide you with knowledge and information to make the right finance choices. Corporate advice can be gained through a number of ways, from accountants, lawyers, government sources and business mentoring to national or local accelerators or incubators.